May 27, 2014 | Matthew R. Arnold, Esq. If Carole King still feels the earth moving under her feet, it may not be Carolina’s own James Taylor. Soon it could be Carolina herself. With Gov. McCrory’s signature on new legislation, the Tar Heel State took some giant steps towards beginning hydraulic fracturing (“fracking”) – a process of natural gas extraction that uses horizontal drilling and the injection of sand, water and chemicals into shale formations deep underground. Fissures made in the formations by the injections allow natural gas to rise to the surface, where it is captured. The state legislature has been working on the issue since at least 2010. North Carolina’s 1945 Oil and Gas Conservation Act prohibited horizontal drilling, so legislators had to change the law in order to sanction hydraulic fracturing. While the state legislature has been moving to the right in recent years, the “fracking” legislation – rife with apparent political and corporate cronyism – leaves little over which Conservatives can crow. 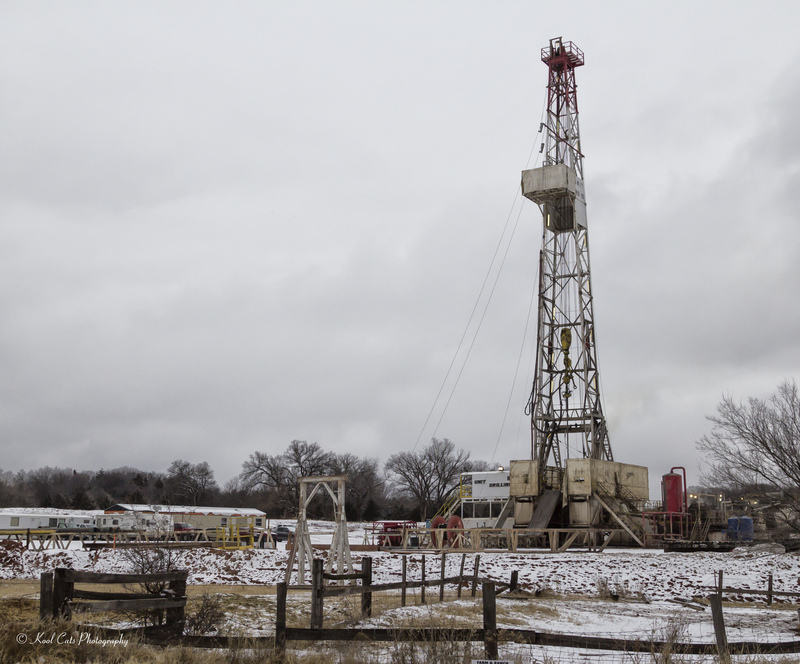 An unelected commission is tasked with “energy modernization,” which means local communities that do not want hydraulic fracturing will be forced to accept it. If a community wants to know how a company plans to conduct its operation, it can’t. If you get sick and your doctor wants to know what chemicals you might have been exposed to, he or she can find out, but only after signing a written waiver promising not to tell anyone. Ditto on the fire chief; he or she has to sign a written waiver while the inferno is raging because a “fracking” company’s intellectual property is more important than putting out a fire. If “fracking” information leaks – no pun intended – the leaker is a criminal. Cutting the people (i.e. “We the People…”) out of decisions made, supposedly, by and for the people, is nothing new. Administrative agencies spawned by state and federal governments have led to the creation of what some call the fourth branch of government: the administrative state. The new “fracking” legislation, signed by Gov. McCrory on June 5, 2014, is in keeping with the modern trend towards democracy by political appointment. Indeed, the future of North Carolina’s energy decision making is now vested in the Mining and Energy Commission. This new commission, in conjunction with the Department of Environment and Natural Resources, the Environmental Management Commission and the Commission for Public Health, will adopt rules that govern the process of hydraulic fracturing in North Carolina. The rule-making commissions are exempt from having to prepare fiscal notes or submit new rules for preliminary review to the Office of State Budget and Management, steps other agencies typically have to take when promulgating new rules. The nine appointees who make up the Mining and Energy Commission will consist of an elected official from a region in the state that “has oil and gas potential,” two members of nongovernmental conservation interests, a county board member from a region with oil and gas potential, an oil-and-gas engineer, a member of a publicly traded natural gas company, an attorney, and a person with experience in matters related to public health. The public has no say in who gets appointed. Instead, six of the commissioners will be appointed by the legislature, three by the governor. Like other administrative agencies, the Mining and Energy Commission will have quasi-legislative and judicial powers. The Commission will have the power to penalize individuals or companies that violate North Carolina law or the Commission’s rules and to hold hearings to determine appropriate penalties, if any, for violators. The legislation upends any prohibition on the use of “horizontal drilling or hydraulic fracturing for the purpose of oil or gas exploration or development within any county, city, or other political subdivision.” Ordinances prohibiting oil and gas exploration, development and production activities enacted by local governments are repealed. The legislation also enables persons or companies to petition the Mining and Energy Commission for a hearing if local acts or ordinances are construed in a manner that would prevent oil and gas exploration, development and production. If it makes certain findings, the Commission can preempt local acts. Three years ago, when North Carolina was taking its first steps towards hydraulic fracturing, Dr. Vikram Rao, a former Halliburton vice president and then-executive director of the Research Triangle Energy Consortium, told me that so-called “flow-back” – water that returns to the surface after being injected into the shale formations – is steeped in chemicals. Dr. Rao said issues over environmental contamination would be “put to bed” if regulations required full disclosure of the names and relative benignity or toxicity of chemicals used. North Carolina’s legislation does the exact opposite. It calls upon the Department of Environment and Natural Resources to treat “methods or processes” used in hydraulic fracturing as “confidential information.” The State Geologist is tasked with compiling and maintaining confidential information concerning hydraulic fracturing fluids. While he or she must certify that fluids comply with state and federal law, he or she does not have to identify the fluids and chemicals being injected into the ground. Information about chemicals and fracturing methods may only be shared with other state agencies “as needed.” If you get sick and your doctor needs to identify chemicals or fluids to which you were exposed, the company that made you sick may require your doctor to enter into a written confidentiality agreement restricting use of the information and agreeing to, in essence, damages if information contained in the disclosure leaks. The legislation puts some air between fire chiefs and putting out fires. If a fire chief needs to know the identity of chemicals causing a fire in his or her jurisdiction, the information can be provided, but the Department of Environment and Natural Resources must notify the owner of the information within twenty-four hours of disclosing it. Like your doctor, the fire chief must produce a written statement of need and restrict use of information about chemicals “to the emergency purposes indicated in [the] written statement[. ]” If the fire chief uses the information for any other purpose, he or she may be subject to legal damages. Anyone who discloses information about the chemicals or hydraulic fracturing processes shall be guilty of a Class 1 misdemeanor – even your doctor, and even the fire chief. Six days after Gov. McCrory signed the North Carolina bill, the Associated Press reported that Ohio was leading a group of states studying human-induced earthquakes. 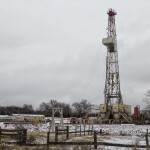 The state recently found a probable link between hydraulic fracturing operations and earthquakes felt in eastern Ohio. That state’s Department of Natural Resources refused to make public its scientific basis for tying the earthquakes to hydraulic fracturing. Only time will tell if the same tale plays out in North Carolina. If it does, we’ll be the last to know. So when Carole King next comes to the state and feels the earth moving under her feet, don’t ask her what’s causing it. It’s a secret. And if she tells you, she’s a criminal. Guest Post Written by: Paul Tharp, Esq.